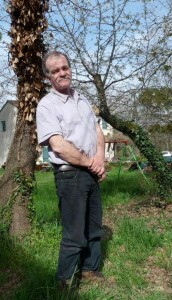 Denis Carel is a cheesemaker at the Fromagerie des Vallons in southern France (Provence, France). Denis was one of the very first farmers to go for the CSA model in his country: Association pour le Maintien d’une Agriculture Paysanne. A Farmers’ Union activist, he has been among the leaders of the regional and national AMAP networks for almost 10 years. He is still very active in the regional AMAP de Provence network. He has conducted several cooperation missions on cheesemaking, including one in Mongolia in 2012. He’s now progressively handing this activity to his son, and intensively learning English for his new international vocation: he is now part of the International Committee of URGENCI (International Community-Supported Agriculture network www.urgenci.net), as treasurer of the network.